friendly service and comfort at our Chester, VA hotel. Welcome to the Hampton Inn Chester hotel. 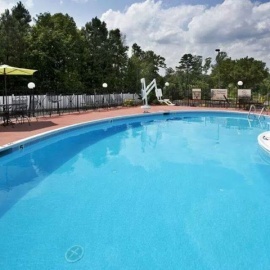 Our friendly hotel, conveniently located between Richmond and Petersburg, is just a ten-minute drive to many of the most historic and beautiful sites in Virginia. Discover the James River Plantations which have played host to many presidents and dignitaries — just 12 miles from our Chester, VA hotel. View the Gothic splendor of St. John's Church, or enjoy a round of golf at the River's Bend championship golf course. Travel to Richmond and visit a diverse range of shops, restaurants and welcoming bars. 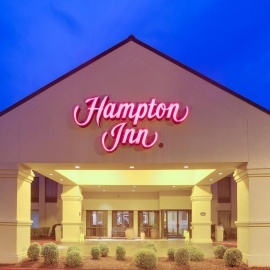 Have a refreshing stay at our Chester, VA, hotel in a comfortable guest room complete with a clean and fresh Hampton bed®, premium TV channels and free WiFi access. Select a suite and enjoy extra space to stretch out and relax. Join us for Hampton's free hot breakfast®, and revive with all your morning favorites before heading off to explore the sights of Chester.